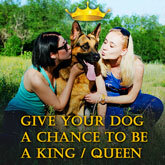 Do you want to train your canine with the finest quality and the most effective gears? Can't decide which is better to choose? 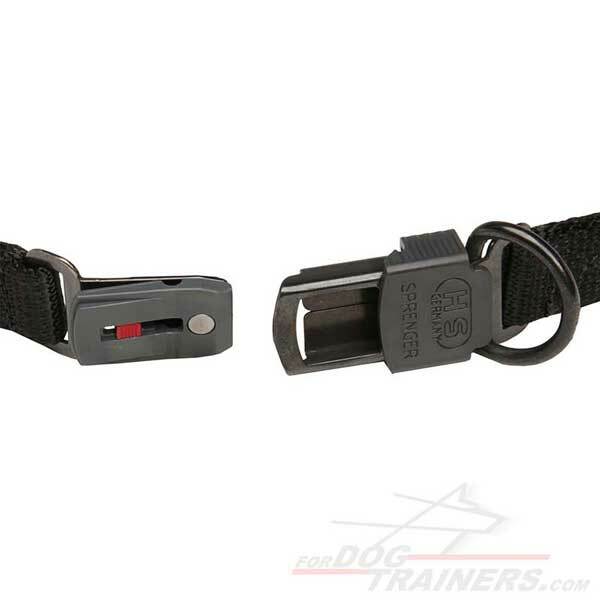 We offer you to leave behind pinch collars of ordinary colors and get an efficient training accessory which is truly unusual. Have some doubts that it exists? Check this Herm Sprenger Dog Pinch Collar with Click Lock Buckle made of Black Stainless Steel! Herm Sprenger collars are widely considered by dog handlers and trainers to be the best dog training collars on the world market today. This black stainless steel collar is very durable and made of high quality material, so it's safe for your pet's health. 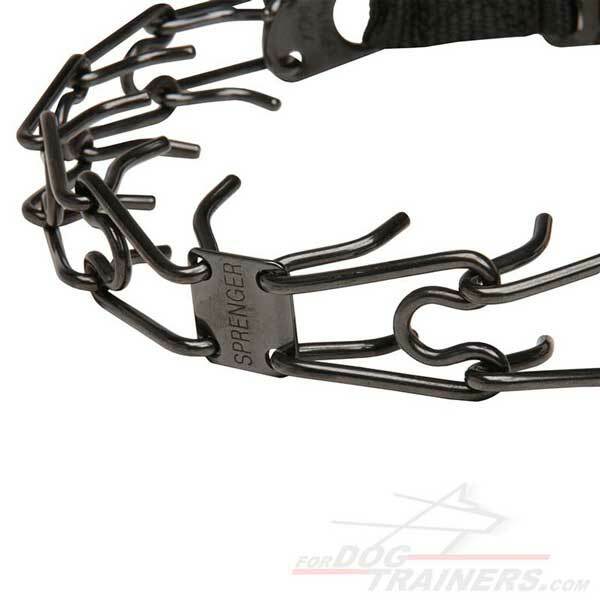 If your dog used to pull hard during walking, this Herm Sprenger collar is, probably, the best choice. It works wonderfully if you want to walk your canine without pulling. This Herm Sprenger Black Stainless Steel Pinch Dog Collar is made of non-corrosive material. This makes it super durable, long-lasting and, what is more important, completely harmless for your canine. It won't cause any allergic reactions or skin irritation. Pinch collar has 10 evenly arranged links which help you to manage your dog's misbehaviour. Their effect reminds the dog his childhood when his mother-dog taught him to behave well and obey. 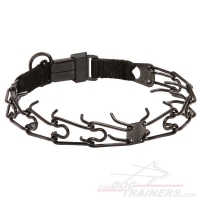 Therefore, there is nothing cruel in usage of such collars. On the contrary, they work great for behaviour correction without causing your pet traumas, when used in a proper way and under supervision. This Herm Sprenger pinch collar is equipped with special Click Lock Buckle which is, in its turn, protected from accidental unlocking. So, your walks with beloved pet will be safer! Click Lock buckle produced by Herm Sprenger company is the most sturdy and reliable part of a pinch collar. It can withstand the load up to 200 kg (440 lbs). Please, remember that if your dog will need a pinch collar of bigger or smaller size, you won't have to buy a new one. 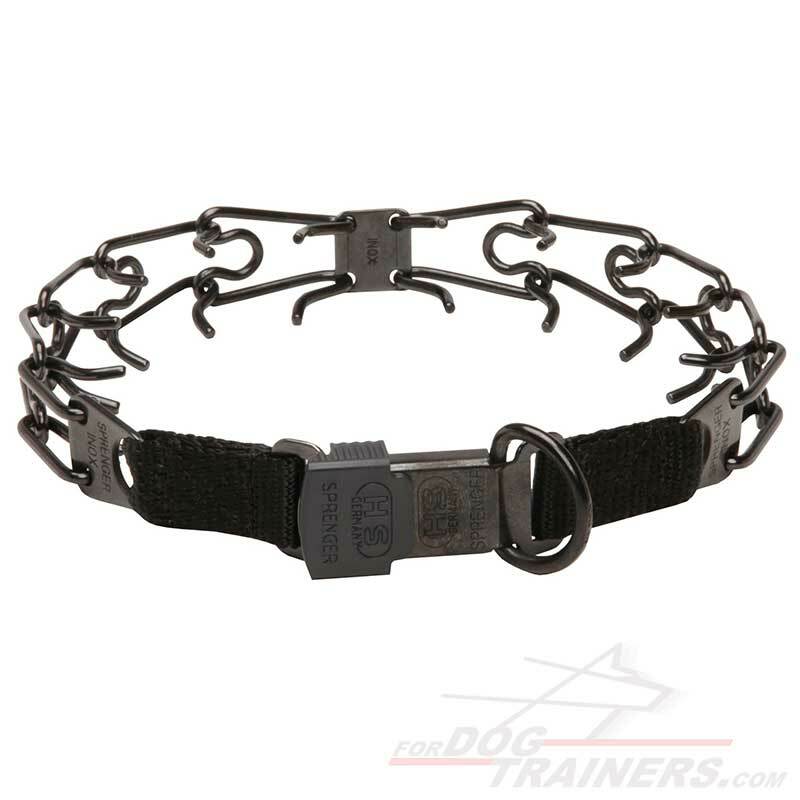 You may just get an additional link to enlarge the size of this Black Stainless Steel Pinch Collar. Or you may remove a link and a collar will be of a smaller size. Please, pay attention that this Herm Sprenger Pinch Collar is an effective training device only when worn under supervision. Never leave your dog alone with this pinch collar on, he can accidentally hurt himself!